Goldhawk Interactive, the developer behind Xenonauts, must be big fans of the original X-Com: UFO Defense (which was released in 1993). Their title could almost be called X-Com: UFO Defense EE, because they've stayed true to the original template while mostly only improving the graphics and the interface. That begs the question: if a new game is just like a classic old game, then why bother with the new game at all, especially when the old game can be purchased for next to nothing? The answer for me is always the interface. Usually when people wax poetic about their favorite games of old, they forget just how unfriendly interfaces were even ten years ago let alone in the days of DOS. I'll always take hotkeys and tooltips and unlimited save slots and amenities like that over interfaces without them, and so Xenonauts is a game that works for me. But will it work for you? Keep reading to find out. If you managed not to play any of the various X-Com games (including 2012's XCOM: Enemy Unknown) or any of the related games (such as the trio of UFO games released in the 2000s), they all position you as the head of an organization set up to deal with an alien invasion. 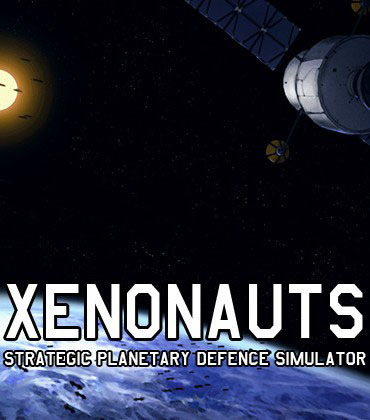 In Xenonauts, these events start in 1958 when an alien ship does so much damage that humanity eventually has to nuke it (and Iceland) to destroy it. Twenty years later, humanity is in much better shape, with soldiers and interceptors ready to go, and that's when you take over -- right in time for the aliens' major assault. Dealing with the alien invasion takes a lot of effort. You need to construct multiple bases in the world so you can detect when UFOs arrive and send interceptors to shoot them down. You need skilled soldiers so you can thwart alien ground attacks and scavenge the remains of downed UFOs. You need scientists to examine the alien technology so you can use it (or something similar) yourself. You need engineers to build state-of-the-art weapons, armor, and interceptors for you based on the alien technology. And you need to keep the countries of the world happy because their funding pays your bills, and if you lose too much of their support then you lose the game. Each base you construct consists of a 6x6 grid. The 2x2 center of the grid is fixed as the base's command center. This is the room you have to hold if aliens ever invade the base. Some of the facilities in the base (like radar arrays and hospitals) only take one square, while others (like hangars and living quarters) take two. The base you start with contains a little bit of everything, but any base you construct after that only contains the command center, and so you'll be able to decide what role it should play. In my game, I found that my starting base could handle all the research and development I needed, and so my secondary bases were there mostly just to house radar arrays and hangars so I could detect more UFOs and shoot them down. When a UFO (possibly with escorts) becomes visible on the world map, you can send up to three interceptors to shoot it down. In X-Com: UFO Defense your interceptors were faster than the UFOs, and so these battles were basically dogfights. But in Xenonauts, it's just the opposite (until late in the game), and so the battles are more like jousts, where the two sides charge at each other before one side prevails. If you want, you can take control of your interceptors in these encounters, or you can let the game auto-resolve the outcome for you. I had pretty much no luck when I was in control, and auto-resolve always gave me better results, and so that's what I went with. In sort of an odd (but friendly) twist, if one of your interceptors is shot down, it isn't destroyed. It just gets towed back to its base, where it's slowly put back together. Take that, Humpty Dumpty. You start the game with ten soldiers, which is more than enough to fill a single troop transport. Soldiers are defined by six attributes: Time Units (or TUs), which measure how much they can do during their turn in a battle; Health, which is the same as the number of hit points they have; Strength, which measures how much equipment they can carry without a TU penalty; Accuracy, which measures how well they shoot guns and throw grenades; Reflexes, which measures how likely they are to interrupt an alien with reaction fire; and Bravery, which controls their morale and also acts as a defense against psionic attacks. You can also give a soldier a role (such as assault or sniper), but this is just for your benefit so you remember who is supposed to be doing what, and it doesn't have much of an impact on the game. After shooting down a UFO, you need to send your soldiers to the crash site so they can deal with any surviving aliens. These battles are turn-based, and they're played out on a large square grid at a variety of locations (including farms, city streets, and train stations). On your turn, you can move your soldiers and have them attack as much as their TUs allow, and then when the aliens get their turn, they get to do the exact same thing. Since soldiers can move, attack, and then move again, that allows for some cheesy tactics -- especially inside UFOs where you can open a door, fire at the aliens in the room beyond, and then close the door, leaving your soldiers in safety. Reaction fire is supposed to prevent this sort of thing to some extent, since it allows you to shoot during your opponent's turn, but reaction fire always uses the least accurate firing option, and so it's more useful for your soldiers (who become very accurate by the end of the game) than for aliens (who, as far as I can tell, don't). During combat, besides moving and shooting, soldiers can also crouch (to improve their aim and make themselves into smaller targets), they can use medipacks (to heal up to half the damage they've taken), they can throw grenades (including knock-out grenades, which makes capturing aliens easier), and they can hide behind cover. Just about everything can be used as cover, including trees, cars, and fences, and combined the cover objects make the battlefield a slightly safer place to be -- well, at least for as long as they last. Unfortunately, the combat engine is very simplistic, and it has lots of issues with line-of-sight (aliens can often shoot through walls), lighting (which becomes an issue during nighttime missions), multi-level terrain (which is a headache to deal with, especially at night), and even the cover. The problem with cover is that way too many things help out. By the end of the game your soldiers have the most powerful weapons ever imagined, and yet park benches, computer terminals, and two-foot hedges give protection (the hedges also inexplicably block sight).